Following the devastating 1988 Spitak earthquake which killed around 25,000 people and made half a million homeless in Armenia, SOS Children's Villages decided to offer immediate aid to the children who had lost their parents. A short while later, the organisation started working on a permanent basis in Kotayk, just outside the area that had been destroyed. Since then, SOS Children's Villages has continued to support children, young people and families, and it is now present in five locations. At present there are two SOS Children's Villages in Armenia, one SOS Youth Facility, one SOS Kindergarten and seven SOS Social Centres. The first SOS Children's Village was opened in Kotayk in 1990. In 1995, the SOS Kindergarten opened its doors and local children could be cared for by qualified staff. As the needs of the children and families changed, youth care centres were created. In 2006, SOS Children’s Villages started running family-strengthening programmes. These programmes work directly with families, communities, local authorities and other service providers to empower families to effectively care for their children. Thus, SOS Children's Villages ensures that children can grow up within their own families. Children whose parents cannot take care of them will find a loving home in one of the SOS families. SOS relies on the kindness and generosity of Canadians to be able to provide a home for the most vulnerable children of Armenia. 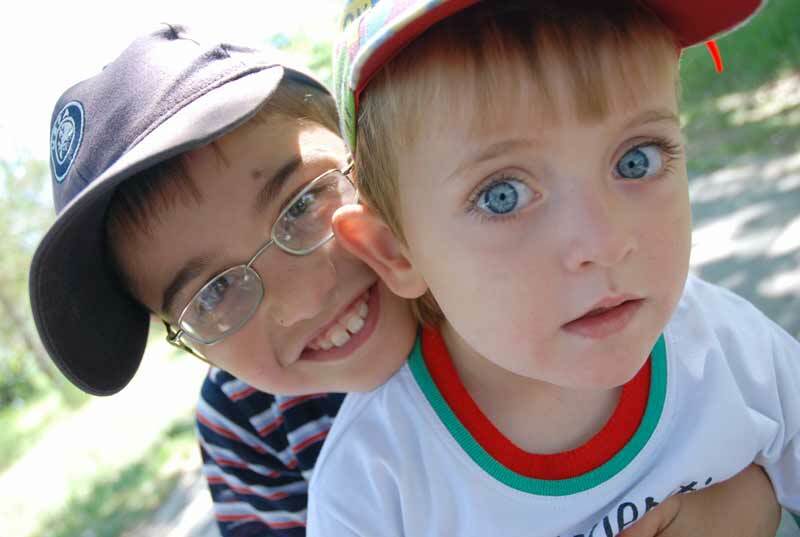 Please help us ensure a loving home for every Armenian child. Sponsor a child in Armenia now. Your donation will help change an orphaned or abandoned child's life. Armenia’s complex diplomatic relations with its neighbours Turkey and Azerbaijan had a negative impact on the country’s economic development, and therefore on the lives of ordinary Armenians. Reports from international organisations state that: 28 per cent of the population lives with less than two US dollars a day and 23 per cent of the inhabitants are undernourished. The unemployment rate stands at seven per cent. Prior to 1991 Armenia’s economy was primarily industry-based. After independence, the agricultural share of the economy increased, employing nearly half of the population. The service industry has become increasingly important; 15 per cent of the population work in this sector. People in rural areas are disadvantaged due to poor infrastructure and less employment opportunities. Improved water and sanitation is not always available in rural areas and the quality of health care in rural areas remains poor. Children living in rural areas are nearly twice as likely to die under the age of five, than those in urban areas. As a result of migration to urban areas or abroad, some rural areas are facing depopulation. Armenia suffered from a decline in its population after 1990 due to the emigration of people in search of a higher standard of living. Cash remittances sent back home from Armenians working abroad have always been an important part of Armenia’s gross domestic product. Children under the age of 14 account for nearly a third of the population of Armenia; four per cent are involved in child labour. Family life has changed due to the recent social, economic and political changes. Many parents, especially fathers, have emigrated in search of employment: the typical Armenian migrant worker is a married man between the ages of 41 and 50. Health and education continue to be under-funded. The government has made the improvement of education a priority. Regarding health: mothers and children, particularly in rural areas, have difficulties accessing high quality health care. Families are not given the support they need to be able to stay together. As a result, the majority of children who are taken into care are the so-called “social orphans” who have one or two parents still alive. They are often taken into institutions due to poverty, or issues related to it. Most continue to be placed in orphanages, some of which have existed since the Soviet era. Children growing up in these settings are often stigmatized and their future development is therefore limited. Alternative care settings are particularly limited for disabled children. The situation of girls in Armenia is particularly precarious: they are not encouraged to go to school; they may face early marriage or pregnancy and are more likely to end up living in poverty. Girls in rural areas and those who have left institutional care are especially at risk.